In a note to clients Apple analyst Ming-Chi Kuo says that the iPhone Xr is outpacing the 2017 sales of the iPhone 8 and iPhone 8 Plus. He expects Apple to sell 33 million to 35 million units of the Xr this quarter. In total, the analyst thinks the tech giant will move 75 million to 80 million smartphones. The iPhone Xr is now available for pre-order and will begin shipping this Friday. 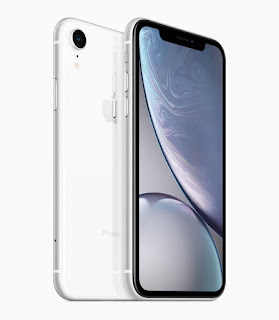 It’s available in 64GB, 128GB and 256GB models in white, black, blue, yellow, coral and (PRODUCT)RED starting at $749 from apple.com and Apple Stores, and is also available through Apple Authorized Resellers and select carriers.